The Arab Spring: Will It Lead to Democratic Transitions? (edited by Jang Ji-Hyang and Clement Henry) is now available at Kyobo Bookstores nationwide and online through Palgrave Macmillan. 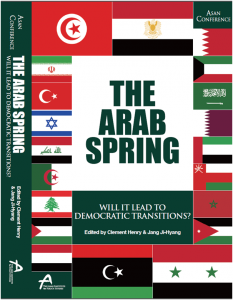 Jang Ji-Hyang & Clement Henry, The Arab Spring: Will It Lead to Democratic Transitions? 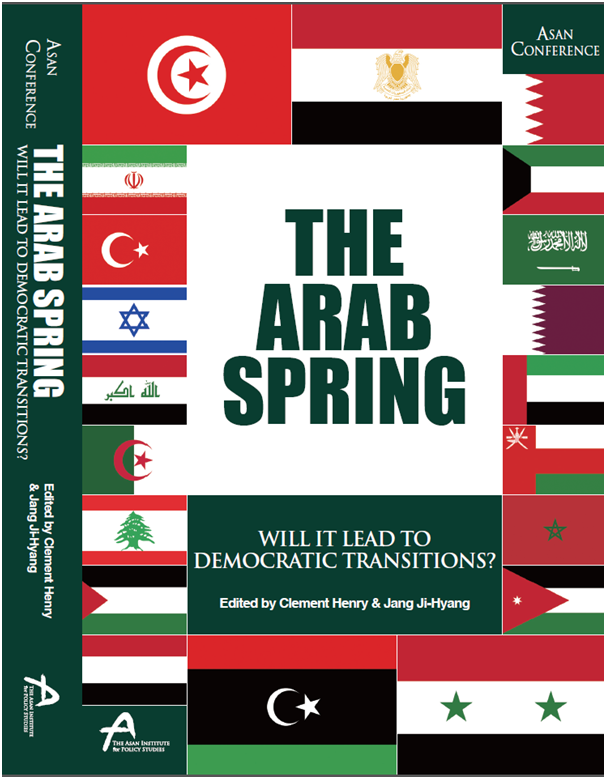 Co-edited by Dr. Jang Ji-Hyang, Director of the Middle East and North Africa (MENA) Center at the Asan Institute for Policy Studies, and Dr. Clement Henry, Chair of the Political Science Department at the American University in Cairo, The Arab Spring: Will It Lead to Democratic Transitions? expands upon the discussions and analyses presented at the 2011 Asan Middle East Conference held by the Asan Institute for Policy Studies in Seoul, Korea. It seeks to offer policymakers and researchers a more nuanced appreciation of the multiple dimensions to the political turbulence that has fundamentally transformed the Middle East and North Africa over the past two years. While outlining the unique circumstances and diverse trajectories that each of the uprisings has taken, the book seeks to highlight common elements and processes that connect these events together. In particular, four key variables appear to have been critical to determining the relative success or failure of individual uprisings: (1) the strength of state traditions; (2) the level of institutional experience with pluralism; (3) oil rents; and (4) the configurations of political patronage. Using these four variables, the contributions to this book explore the long-term prospects for states across the region to make the successful transition to democratic government within the context of unprecedented social and political change.